You know that you CAN log your volunteer hours on Do Some Good, but you might not be clear on WHY and how much value there is in doing so. Let's explore how you can help your cause, community, company AND yourself just by taking a few seconds to log your hours! You can help your cause receive the funding they need! Many people are unaware of the fact that non-profits and charities must often meet certain guidelines to be eligible for government grants and external funding. By logging your hours, you can help them meet these requirements! You can help increase donations! Funders and donors want to know what resources non-profits are receiving and who they’re coming from. Additionally, they want to know if the organization has a team in place who can get the job done. All of this information comes from your Do Some Good profiles where your logged hours are located. They will be more likely to donate when they know their funds will be put to good use. Time tracking offers powerful data that shows exactly where critical funds are being used. The more data the organization has, the stronger the case they can make for additional funding. 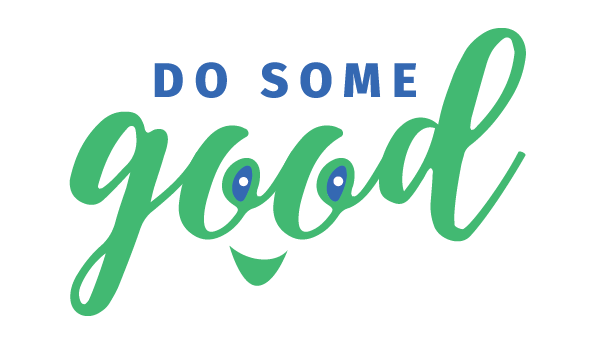 Simply by logging your hours on Do Some Good, you can help your cause continue to make a difference in the community. You mean I can help raise money for my cause just by taking a few seconds to log my hours? Yes! Inspire others and have a voice! Your logged hours can help your community in a few different ways. First of all, the concept of leading by example comes in to play. No matter how much someone talks about doing good in the community, seeing social proof of their contributions speaks loudly. It's not about showing off and bragging about your community efforts, but rather inspiring others to do the same and being a positive role model! On top of that, logging your hours gives you a voice in the community. During the log hours process, you are also provided the opportunity to submit feedback that can help event organizers, charities, and non-profits improve in the future! You mean I can instigate continuous change in my community just by logging my hours? You bet! Contribute to the collective impact! If you are connected as an employee of your company on Do Some Good, whenever you log your hours, your data will automatically feed into your company’s collective impact total. This gives them accurate numbers to use in reports, but also fuels employee engagement and recognition programs. For a company to be able to turn around and say, “Last year, our employees volunteered [X amount] hours in the community,” is more powerful than you realize, but these statements won't be accurate (and are often VERY low compared to the true amount) unless you log your hours. Additionally, your hours can show your employer where you are dedicating your volunteer time and efforts, allowing them to make strategic decisions and align their corporate donations with the causes their employees (you!) care about. This not only enhances your corporate culture, but benefits the causes you are passionate about in the community. Win-win! You mean that by recording my time, I can drive funds to my cause AND enhance my work life? Indeed! Put your volunteerism on your resumé! Having a record of your volunteer hours can be useful in many situations. It's not selfish to showcase your community involvement, and can actually be ideal for students or individuals seeking career advancements. In a recent survey of hiring managers by Deloitte, 82% reported they prefer applicants with volunteer experience and 92% say volunteer activities build leadership skills. Yet only about 32% of job seekers mention unpaid community-service experience on their resumes. Don't miss out on this opportunity! Furthermore, when you log time with a registered organization on Do Some Good, it prompts them to leave you a testimonial. This social proof is incredibly useful as it establishes trust and credibility. You mean I can use my logged hours to apply for jobs, qualify for promotions, and receive testimonials? Sure can! "But I don't have anything to log right now!" Yes, you do! The initial thought is that only formal volunteerism counts – the time you spend volunteering for a specific cause or event with a registered charity. BUT, in reality, there are so many things you currently do that qualify as informal volunteerism which are just as significant! Cutting your neighbour’s lawn, walking their dog, or helping a friend move may just seem like nice things to do, but these count as informal volunteering and should be logged too! In fact, Statistics Canada reported that a staggering 80% of Canadians help others directly through informal volunteering! We know it's happening and we need to start recording the impact of this time! We're not asking you to do more. In fact, we are asking you to take a moment to recognize and celebrate the things you're already doing today! We guarantee you have hours that you could log right now. Logging your time only takes a few seconds, so go log your hours now! and as you move forward, regularly remind yourself to do so to continue to help your cause, your community, your company and yourself.